In her weekly roundup of science news, Oregonian writer and editor Susannah L. Bodman devotes a lot of space to Ebola, from readers' concerns to how they deal with the extremely low risk of infection. 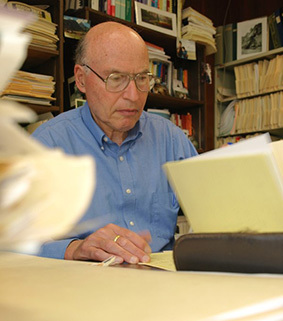 As for risk, Bodman turned to UO psychologist Paul Slovic. "We deal with risk not through calculating probabilities ... like a scientist would do; we do it through our gut feelings," Slovic said in an interview. Ebola, or any other emerging infection, for many people, writes Bodman, is new and not something they have personal experience with, ergo it's perceived as riskier. The interview with Slovic appears in the bottom half of the story: Ebola is deadly -- and in the U.S. -- but odds are good something else will kill you.